Easiest Night Time Skincare Routine using only five steps. Now-a-days, boujee skincare routine is all over the internet. Everybody wants a good flawless skin. Gone are the days of cakey full face of makeup, everybody wants a dewy goddess like skin. They want to embrace their blemishes, go out with a ‘no makeup’ makeup look. But how can we achieve all this? For good skin, you need to prep them up, give good attention to your skin and pamper it. 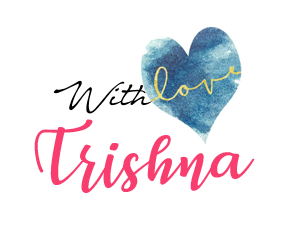 I'll show you a 5 step skin care routine that will help you achieve that glowing healthy skin. Let’s just find out how to do it, shall we? The first thing you must do before sleeping is to remove all your makeup (if you are wearing any) with oil based makeup remover. It will make sure that all your makeup will melt off and you can remove it easily. Oil based makeup remover ensures that your waterproof makeup will come off easily without any hassle. You can also use miceller water, if you are not using any waterproof makeup. Miceller water are water based and are soap free. I use Garnier Micellar Water, which can remove my Maybelline FIT Me Foundation and my liquid lipsticks as well. No matter how much a miceller water or makeup remover claims that you don’t need to use an extra cleanser, I never believe it. I need a face cleanser to remove this makeup remover/miceller water from my face. 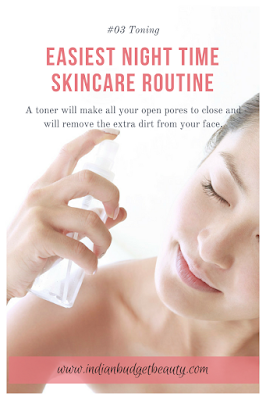 Face cleanser or face wash will make sure that you skin is clean of all the oils from the makeup remover. I use my Clean & Clear Foaming Face Wash daily. You can also use those cleansers which have exfoliating beats in them. 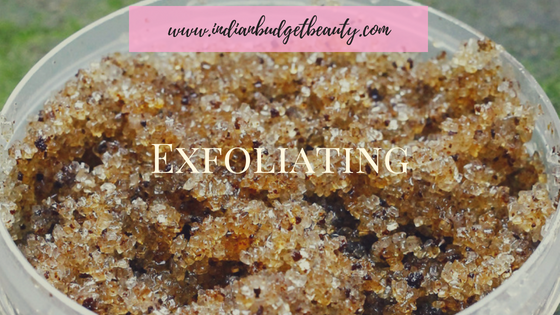 If you do not use a Face cleanser with exfoliating beads, then by all means use a face exfoliator. Exfoliator makes sure that all your pores are clean and will decrease the appearance of black heads and white heads. A toner will make all your open pores to close and will remove the extra dirt from your face. I normally use only a rose water to tone my face. But you can also use other toners available in the market. Just make sure that it is alcohol free. Serums are lightweight and contain a lot of moisturizing ingredients which can penetrate deep into your skin. It will ensure that your skin gets the required treatment. Using a serum overnight can help you rejuvenate and hydrate your skin directly. Hence serum is an essential part of daily skincare routine. The last step on this skincare routine is to use a moisturizer. Using a moisturizer after a serum will make sure to lock the serum into your face. A moisturizer will protect your skin by shielding it. 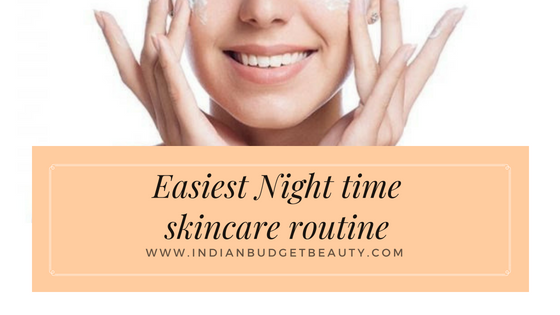 I hope this easiest night time skincare routine with five steps will help you in achieving that glowing, rejuvenated skin. Feel free to add your own magic touch. I need to start more steps to make my face look better. I will start with a toner to remove all that dirt from windy days. I love how the toner feels on my face, after I've taken off the make-up. Mine is based on cucumber and it feels very fresh and light. Thank you for a reminder to exfoliate. I think it might be what is missing in my routine. I will implement this step and hopefully see some results. Those are some great tips. Would certainly inform it to a friend, who really needs this. I need to have a better routine at night. I admit, sometimes I'm tired so I slack off, but I can't do that! My skin needs the proper care. I'll have to start trying out some of these tips. My skin is always a disaster, especially in the winter months! Honestly, when I am exhausted after a day loaded with tasks, I just use Garnier Micellar water Matte to remove my make up. Then I will brush my teeth and sleep. But i still got a lot of blackheads. Maybe I really need to follow these steps. Thanks for sharing! Some great information and recommendations. I'm guilty of skipping my skincare regime, it will be good to get back into it. Thank you! I love this routine very much. I don't have any special skin care routines yet. Need to start care my face. Thanks for sharing. 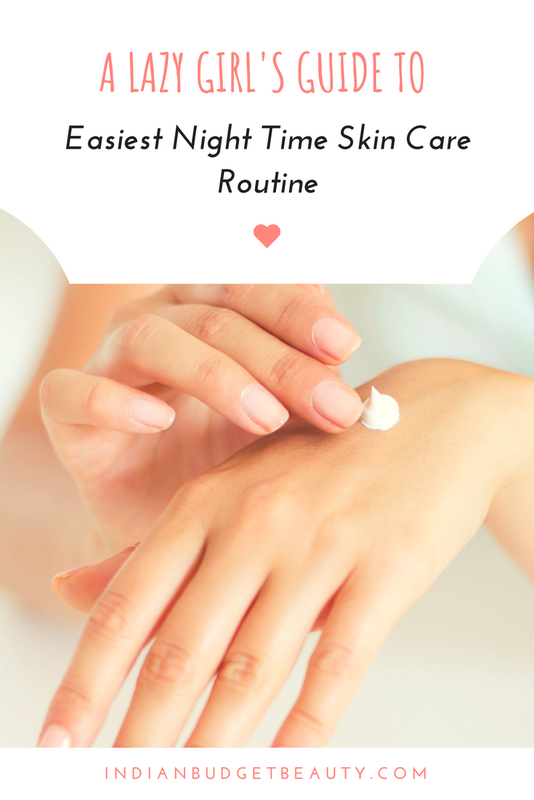 I really like how easy your night time routine is. i am pretty laid back with mine as well. i normally quickly exfoliate with baking soda and coconut oil and then wash it off with water before putting on a serum on my face.